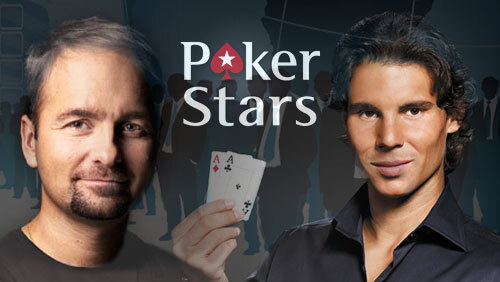 Daniel Negreanu reacts to a 2+2 thread that criticized PokerStars decision to launch their Spin & Go games by throwing his weight of support behind the recreational players; PokerStars affiliates uncover a discreet change in the PokerStars Welcome Bonus conditions; and Rafael Nadal continues his bluffing training with a golf ball to the head. 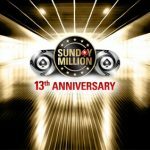 They have taken their time but PokerStars are finally starting to wake up to the realization that they have been creating an ecosystem that attracts the wrong types of players? Daniel Negreanu is the face of PokerStars and he recently aired his views on a 2+2 thread, started by Supernova Elite players, who were complaining that the newly launched Spin & Go games were taking the recreational players away from their cash games. An integral member of the PokerStars set up going on record to effectively say that the “regs” on PokerStars are the primary reason why a poker ecosystem will fail. 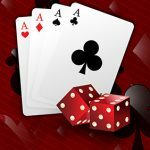 The news comes several years after Jonas Odman figured all of this out, when he created the Recreational Poker Model, but it’s better late than never. 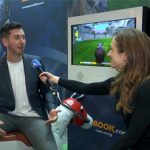 With the news fresh in everyone’s minds that the Gibraltar Betting and Gaming Association (GBGA) lost their high court case against the UK Gambling Commission—meaning the Gambling (Licensing & Advertising) Act 2014 will be introduced as planned. Is Negreanu’s rant a well-disguised corporate script aimed at readying players for future changes to the VIP program? The 15% point of consumption (POC) tax will be implemented on Dec 1, 2014 and the money has to come from somewhere. 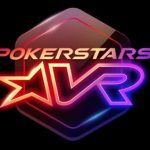 Are PokerStars readying themselves for a wholesale change of their VIP program and is the face of PokerStars supporting them from the trenches? It’s not only the cash-game regulars who are a little miffed at recent changes introduced by the largest online poker room in the universe. The affiliates continue to complain about their treatment, in a post Amaya Gaming Ltd. ruled world. 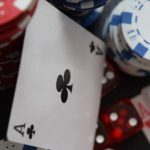 Daniel Moravec over at 4Flush.com has put together a piece that contains several complaints from long standing affiliates of PokerStars, and he has also uncovered a discreet change to the welcome bonus set up. Moravec reports that the initial deposit bonus at Stars ‘was always a 17x multiplier, $10 released per 170 vpps. ~32.3% rake back. 6 months to clear, after each of up to three qualifying deposits,’ and now it’s been changed to 20x multiplier, 27.5% rake back, and the six months grace period has been reduced to just four. If that’s not an exercise in cost cutting then I don’t know what is. The affiliates are up in arms about the whole thing and are even considering unifying to take the fight to Stars as a stronger unit but at the end of the day, are they really doing anything other than just taking care of their cost base? That’s not how one poster at PokerAffiliateWorld.com feels. On a much lighter note, PokerStars Team SportStar’s figurehead, Rafael Nadal, has released his second poker training video aimed to see if Nadal can trick fellow golfers into believing that a golf ball to the head as left the former world number one with a case of amnesia. How great are Nadal’s bluffing skills?